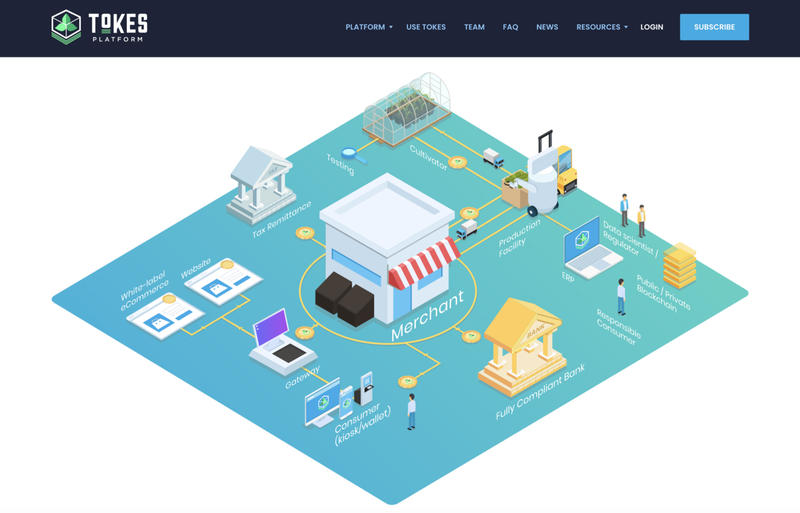 The last month has primarily been one of heads down focus for our development team, as they put final polishes on the current version of the Merchant Gateway, which will soon be available for select private beta users — more on that below. Additionally, we have some new exciting developments on the adoption front for Tokes, particularly the live listing of Tokes on the Vault Logic Smart ATM network! As we alluded to in the previous few weeks, Tokes ($TKS) is now live on the Vault Logic Smart ATM network. While this will inevitably benefit users wishing to purchase cannabis within a dispensary using our Tokes Mobile Wallet, it also means that crypto enthusiasts may now buy and sell Tokes at any participating Vault Logic ATM. The Vault Logic team has a number of placements around the United States, and we will soon be assisting in these efforts within our home base of Las Vegas. Watch the video using the link below demonstrating how to quickly buy or sell Tokes using the machine. The process is about as seamless as it gets, and we are very pleased with Vault Logic’s development efforts. Vault Logic will be at BlockShow in Las Vegas hosted by Cointelegraph August 20 & 21st for anyone who wants to give the new ATM a try. And likely by the time you read this, the kiosk in the video above will be at the fabulous Donut Bar (https://donutbar.com) in Downtown Las Vegas for anyone to use! We encourage our users to share their experiences with the kiosks on social media, and maybe we’ll send some Tokes swag your way in gratitude. As we inch closer and closer to a public release of our Merchant Gateway software, we are now encouraging users interested in testing the software to contact us for beta access. As one of the first full-featured point of sale solutions for cryptocurrency payments, it is imperative that we test real world use of the product. We want the final version to be as easy to use as possible for both consumers and merchants. With this in mind, we are looking for brick and mortar merchants interested in testing the software at their establishments. You do not need to be a cannabis specific business to apply, as fundamentally our software is industry agnostic. To apply, please email support@tokesplatform.org and tell us about your use case. While preference will be given to users with a brick and mortar business, we encourage others to apply as well. We look forward to hearing from you. When our projects evolve, it becomes necessary to change our branding around software offerings. As such, we are excited to announce the launch of our new website later this month! Primarily this rebranding will focus on our core offerings: the Merchant Gateway, the EPCIS chain, and Blockchain/Platform as a Service (Baas & PaaS). While we are still primarily developing for and targeting the cannabis vertical for deployments and integrations of our software, this new branding conveys a more agnostic approach and vision of what the Tokes Platform can provide outside of the cannabis space. We feel this is a vast improvement over our current look, and we hope you do too. Below is a sneak peak, look for the full site to be live by this time next month! 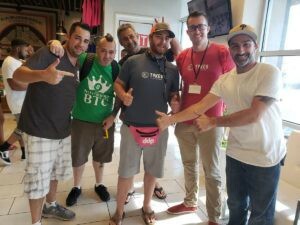 Pisos, our partner here in Las Vegas has had an array of crypto enthusiasts through its doors lately buying cannabis with Tokes! We deeply appreciate the enthusiasm around the product, and look forward to having more dispensaries for our users to give their patronage in the coming months. The next round of Tokes Bingo is live on our social media, for information please check out our Twitter @tokesplatform and message to get a board! You can win some Tokes swag and even some Tokes! 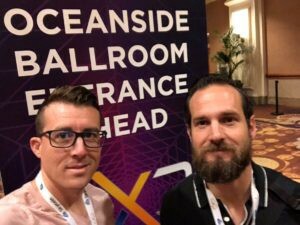 Lastly, the Tokes founders were at the ChainXChange conference this week networking with developers and teams within the blockchain space. We encourage upcoming Vegas conference attendees to reach out to us if they wish to meet during the upcoming BlockShow or World Crypto Con events in Vegas. And if you haven’t had a chance yet, remember to download our new mobile apps below! Here’s to something new. Here’s to the revolution.